Today, I woke for early check out from our hotel in Laoag, and now I’m writing this from my bed at The Manor in Baguio. 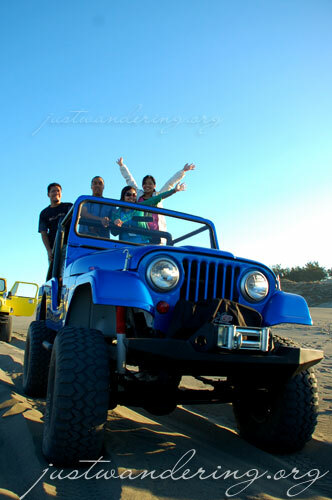 It was a very active Day 3: sand boarding on the dunes of Ilocos Norte, followed by surfing at La Union. The 4×4 and sandboarding adventure was supposed to be held yesterday, but due to schedule problems, we had to adjust today’s schedule to fit the two activities. The 4×4 off road adventure was certainly much more exhilirating during the day. We saw where our daredevil driver was taking us and screamed accordingly. The driver stopped just at the edge of a steep descent. We screamed for him to stop and heaved a collective sigh when he did. That incline was where the sand boarders will be sliding down. All of us were really hesitant to go down, until Ida of Mabuhay Magazine showed some guts and sand boarded all the way down, following the example of a seasoned sand boarder. Once everyone (those who have the guts, that is) had taken their turn, we all got back into our 4×4 trucks, expecting a relaxing ride back to where our bus was waiting. We were in for a shock when the pick up we were riding pitched forward and proceeded to go down the steep incline. Down one dune and up another — our driver was relentless while us passengers at the back were all cowering on the pick up bed, knuckles white from holding on tightly. We were shaken by the experience, but with adrenalin rushing through our veins, we secretly found ourselves wanting more. Sadly, we had a schedule to keep. After a quick stop the historic Paoay Church (a UNESCO World Heritage site), we proceed to Batac (“Where great leaders are born”) for a hearty breakfast of Ilocos Empanada and miki. Satiated and full, we boarded the bus to start our long journey south to La Union. Four hours after, we were pulling into the Surf Shop for an afternoon of surfing. The Surf Shop offers surfing lessons and gears to their students, as well as accommodation and food for a complete surfing experience in one roof. Each surfing student gets one teacher to instruct them on the basics and go with them into the water to help them catch a wave, to coach and cheer. welcome of The Manor’s staff and crew, the warm welcome of the Baguio Convention and Visitor’s Bureau and the warmth of the crackling fire in the open air garden reception. They hinted at an exciting day for us tomorrow, and that’s what most of us are looking forward to. What I wasn’t expecting though, was a night’s stay at the Manor. The itinerary did not specify which hotel we would be staying in Baguio, except that it would be a BCVB member hotel. The initial list listed me to stay at Microtel, but after another round of shuffling, I ended up billeted at The Manor. Not that I’m complaining. beautiful photos! i can’t wait to be in Ilocos again. *Droools*…you know I think that little surfer boy is cute, doncha? Now why can’t all men look like that? By the way, my dad’s from La Union. 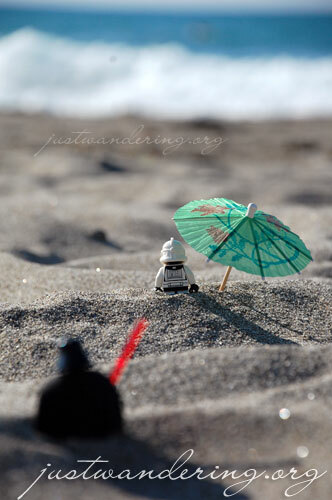 I’ve only been there as a kid, but we never went to the beach. I don’t think his town’s close to the beach though. I’d love to head there to check him out. Ermm…check *it* out. gusto ko din mag-enroll ng surfing course kay Luke! ?